The ASA starts work on the development of ASCII, the American Standard Code for Information Interchange. This set of codes for representing text in computers, communications equipment, and other devices will make exchanging data easier. The first edition of the standard is published in 1963. The latest revision dates from 1986. 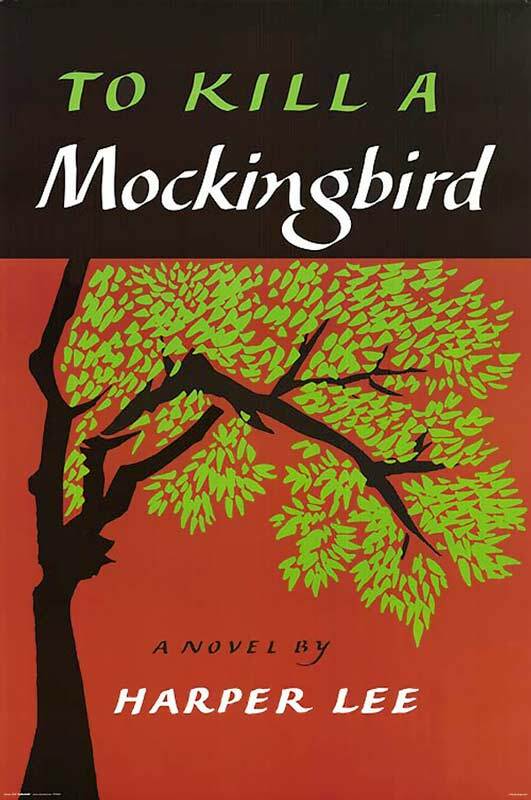 This cover for ‘To Kill a Mockingbird’ by Harper Lee was designed by Shirley Smith. Bill Garth, former president of Photon, founds Compugraphic Corporation with the aim of building small inexpensive typesetting systems. Another newcomer in the market is Alphatype. Hans Helmut Matheis creates an informal script called Matheis Mobil. It will be revived in 2005 as Rhino, shown below. Letraset Ltd starts marketing its Instant Lettering System, sheets with letters in a wide variety of typefaces and sizes that can be rubbed off on artwork. Until the advent of desktop publishing, this dry transfer system remains popular. A team at the Polygraphmash type design bureau creates Schoolbook, a low-contrast text typeface that is optimized for schoolbooks and children books. Dr. Ing. Rudolf Hell introduces the HelioKlischograph K190 – the first in a series of systems for engraving the cilinders of gravure printing presses. 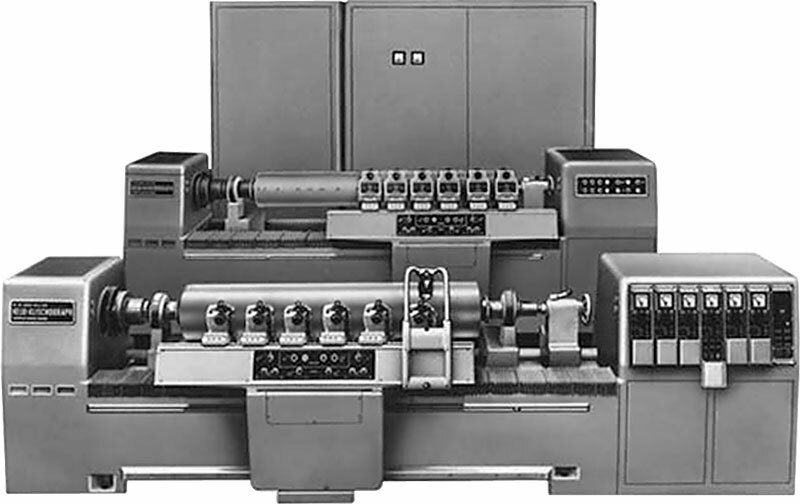 Subsequent models have separate scanning and engraving units ( the 1965 HelioKlischograph K193) or digital electronics (the 1974 HelioKlischograph K200). It is another drupa year. The show highlights are the two elephants ‘dru’ and ‘pa’ that can be admired on the ‘Messegelände’. On the show floor, offset presses get a lot of attention. One of them is the Heidelberg KOR, an offset book printing press. 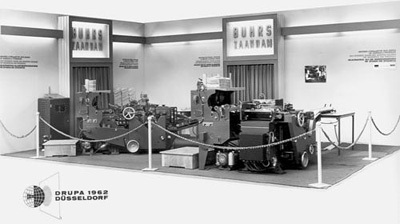 Among the first-time exhibitors are Sakurai and Buhrs . 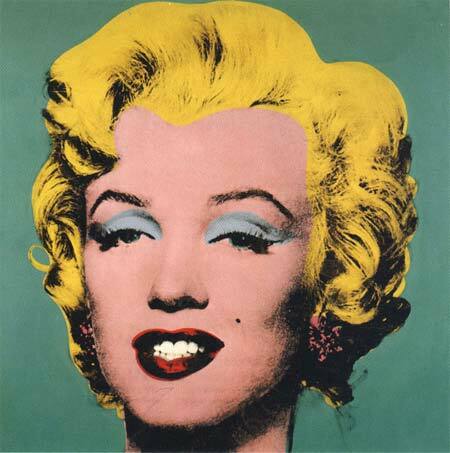 Andy Warhol popularizes screen printing, also called serigraphy, as an art form. His ‘Turquoise Marilyn’ is produced using acrylic paint and a silkscreen print on linen. 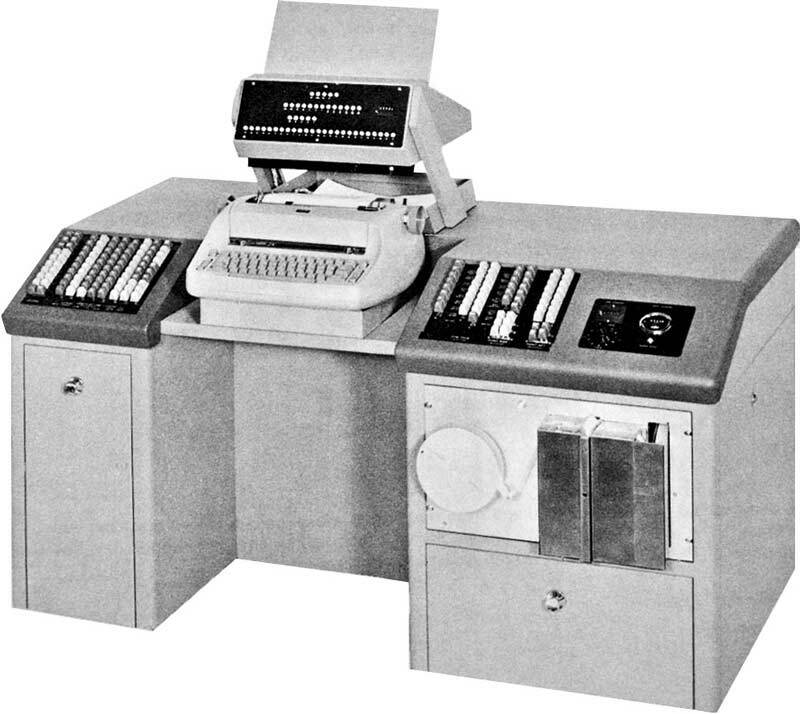 Compugraphic introduces their first typesetting computers, the Linasec I and II. These typesetting computers are used to prepare punched tape to drive the Linotype typesetting machines used in the newspaper industry. The paper tape is produced on a Teletype BRPE punch at the rate of about a line a second, hence the name ‘Linasec’. The design and initial manufacturing of the machines are outsourced to Wang Laboratories, another pioneer in the computer history. Hell launches its first scanner, the Chromagraph. John W. Seybold founds ROCAPPI which stands for ‘Research on Computer Applications in the Printing and Publishing Industries’. This center researches and produces typesetting output using a mid-range 6-bit RCA 301 mainframe computer. There is no software available yet so Rocappi have to write it and make it fit in 20K of available memory. 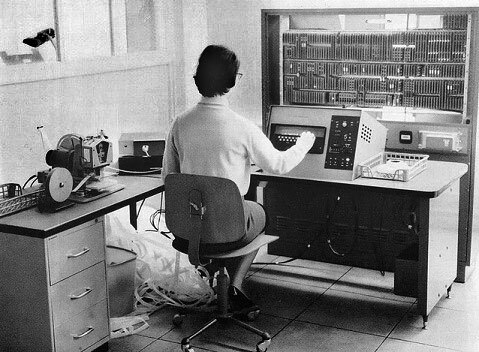 The RCA 301 computer, which is also sold by ICT and Siemens, is also used by other companies for composing text. 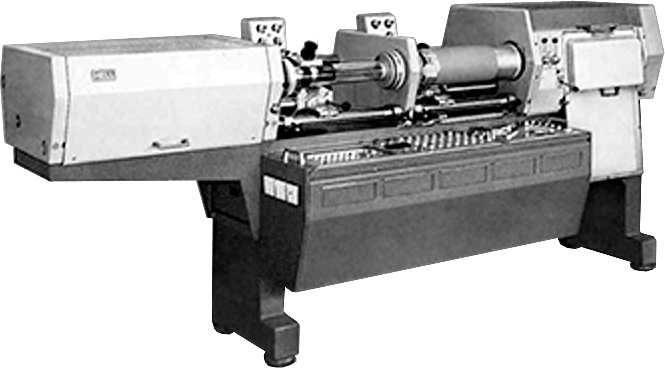 Among the machines for which it can create paper tapes is the Photon 560 phototypesetter shown below, which is also new that year. Two other new models that Photon offers are the Photon 513 and 540. The Dainippon Screen Auto Graver is a machine that can engrave halftone blocks directly onto a printing plate from a reflective original or a transparency. It also produces color-compensated separations directly from originals. Lawrence Herbert founds Pantone and introduces the PANTONE MATCHING SYSTEM for identifying, matching and communicating colors that same year. Impressum is designed by Konrad Friedrich Bauer and Walter Baum. Photon introduces the Photon 480 and Photon 713. Douglas C. Engelbart invents the mouse. In 1968 he demonstrates this mouse, word processing, video conferencing, windows, hypertext and dynamic linking at the Fall Joint Computer Conference in San Francisco. It takes decades before some of the functions shown during this ‘mother of all demos’ become widespread. German company Agfa and Belgian company Gevaert merge to become Agfa-Gevaert, the European photographic company. 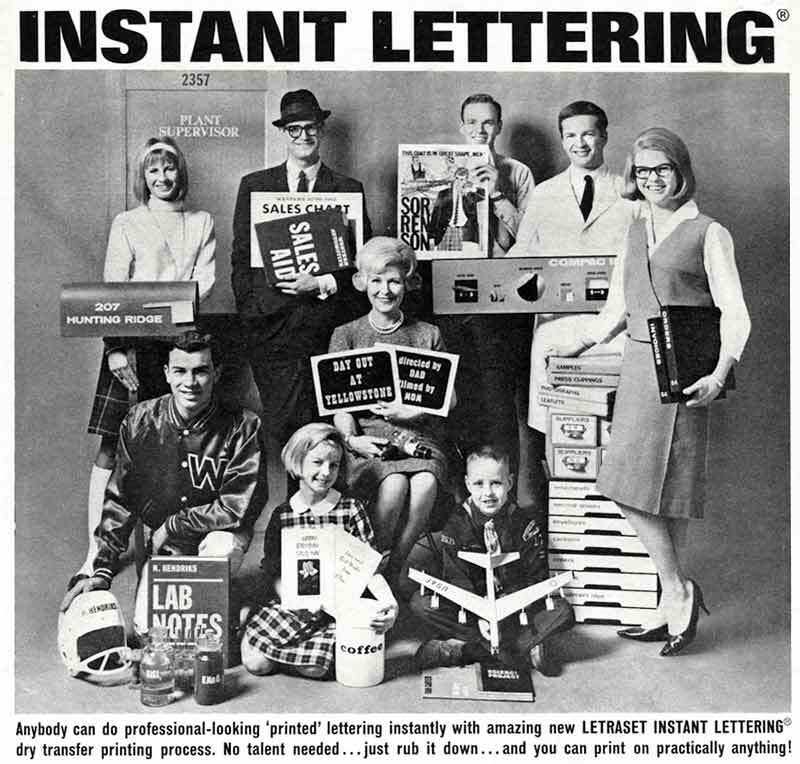 They also produce photographic products for typesetting and reproduction. Digital Equipment Corporation (DEC) introduces the PDP-8, its first mini-computer. 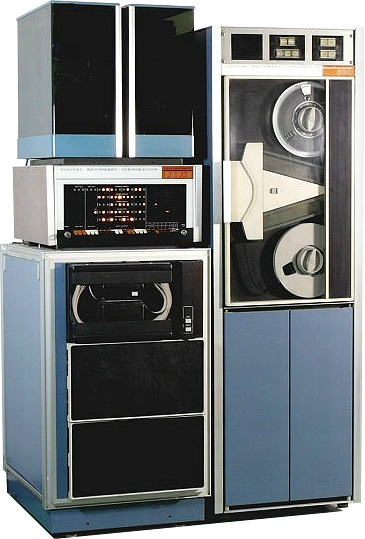 Many photocomposition systems will be based on this computer platform and its successors, such as the very successful PDP-11. DEC itself markets justification software with input and output to tape. Norwegian company Kongsberg is founded. Initially it manufactures drafting tables for the shipbuilding industry. Today it produces cutting equipment for the graphic arts industry and is a part of Esko. Impact is a display typeface designed by Geoffrey Lee. It will later be bundled in the core fonts that ship with Microsoft Windows and will be used extensively in image for internet memes. I just gave this website over to a friend who loves this stuff. Well created and interesting, continue the good work. More images are always nice! The content is great, thanks again. Ok, back to my vacation!